Doug Raynford was asking, in the comments,if anyone had a photo of the VE Party which took place outside his grandmother’s house in Pankhurst Avenue. These are my two photos, the first of which I am pretty sure is of that occasion. 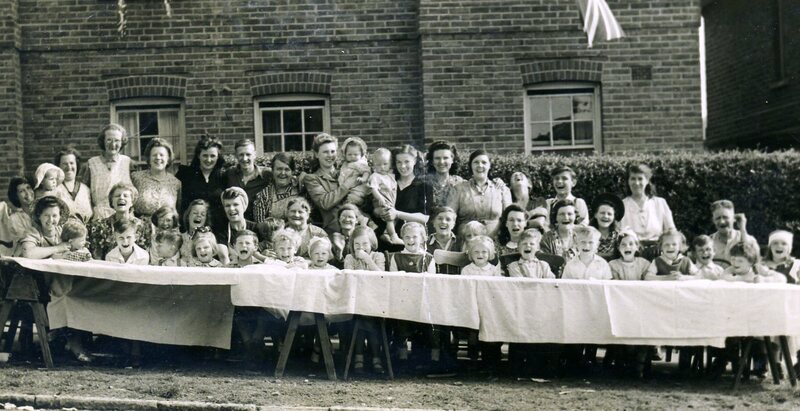 I don’t know the names of any of the people in the photo except my own mother, Milly Laing (her maiden name), who is standing in the centre of the photo with a little girl wearing a bonnet (me) in her arms. 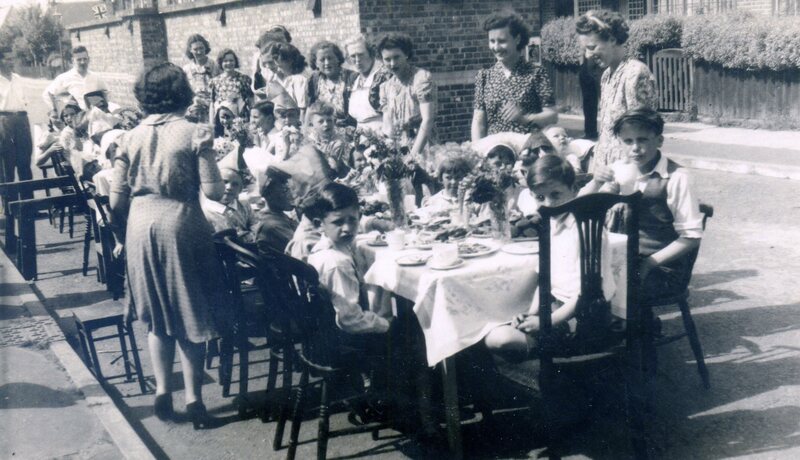 Mother and I had been living with my great-grandmother, Amy Goddard, in Gladstone Terrace since my birth a year earlier – my Dad was away in the Middle East with the RAF. My grandparents, Alec and Amelia Laing, lived in nearby Clayton Road (where my mother and her siblings had been brought up). The second photo also seems to be a street party of some sort, but I don’t recognise anyone and I’m not sure where or when it was taken. One of the ladies seems to be in both photos – that may be a clue. Hope Doug can shed some light as to who else might be in the photos. If anyone else can help, please post a comment below.